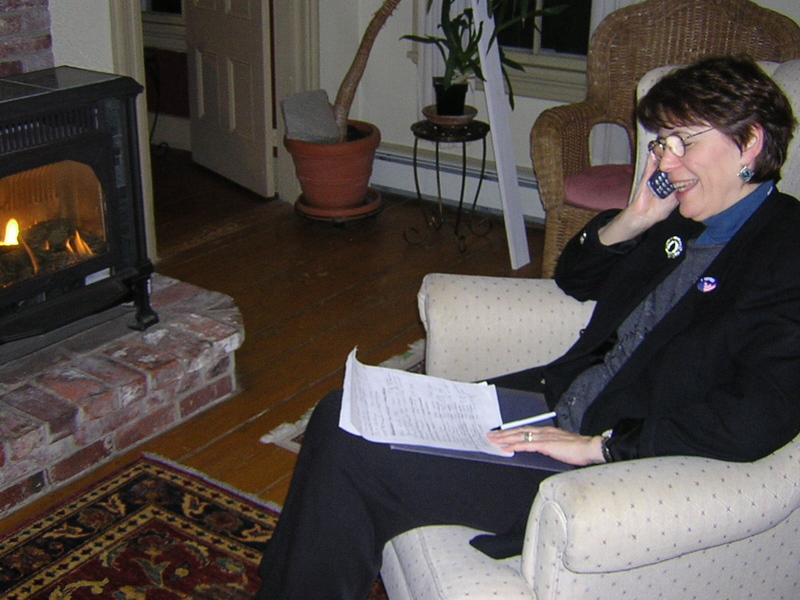 Joanne Jaccaci participating in a phone bank effort in Nov. 2004. I have sad news to report that I learned via Facebook on Sunday – Joanne Jaccaci died very recently. For those of you who may remember her, Joanne became the first caucus convener of the present NG Dems committee in 2004. She organized the caucus that was standing room only at the Meetinghouse. Joanne and her husband Gus hosted the committee’s first meetings at their home on the Penney Road. This entry was posted in News, Obituaries, Other and tagged death, New Gloucester Democratic Committee. Bookmark the permalink.